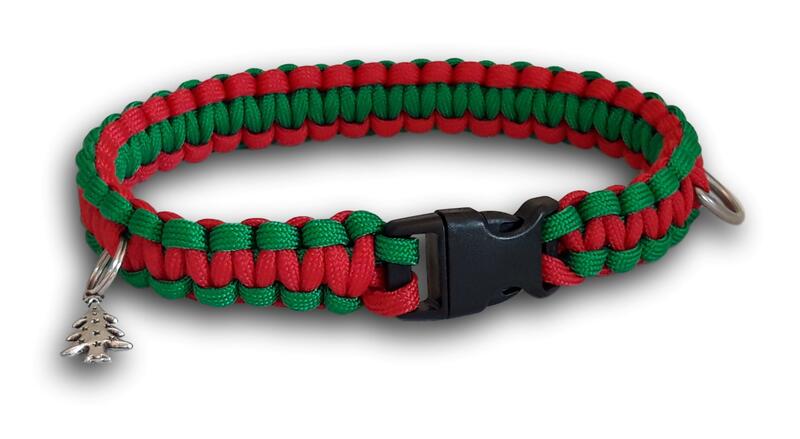 The Christmas Cabot dog collar in festive red and green is a design consisting of two Cobra knots braided together using Type III Paracord 550. This collar is double the width of the Ashton collar. 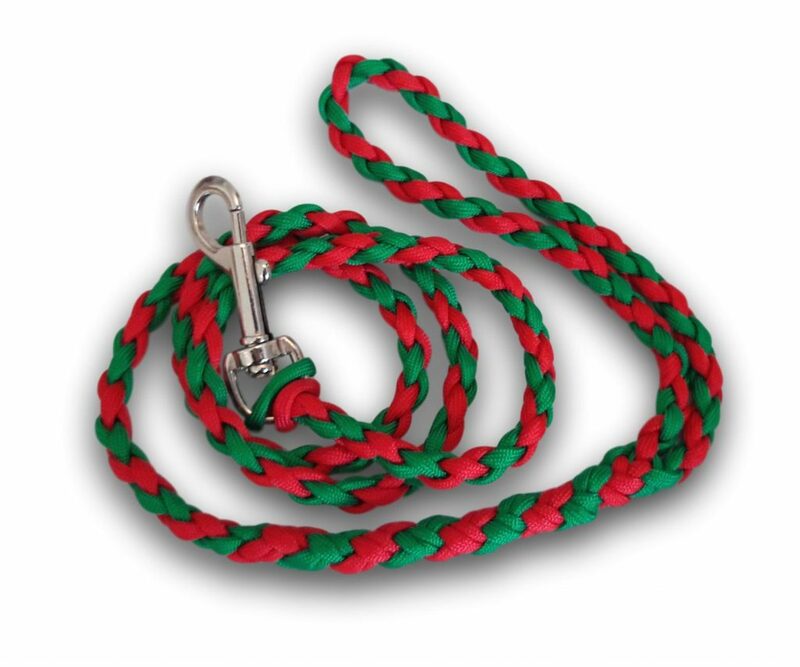 The cord is braided to your measurements incorporating a side release buckle, stainless steel welded D ring (for attaching lead) and split ring for ID tag. 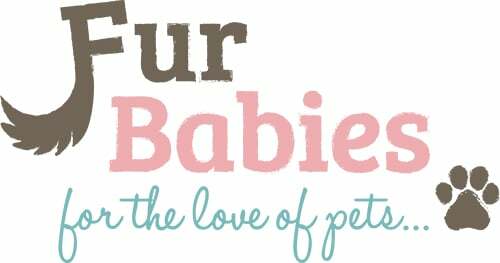 All Fur Babies collars are adorned with a complimentary Xmas silver charm. This collar is suitable for all med/large dog breeds and is particularly reccomended for sighthounds eg Greyhound, Whippet, Lurcher, Saluki, Deerhound, Borzoi.